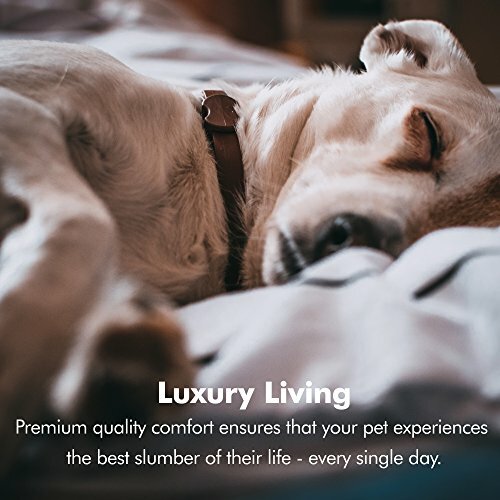 Designed with extra care, your pet's comfort is our priority. 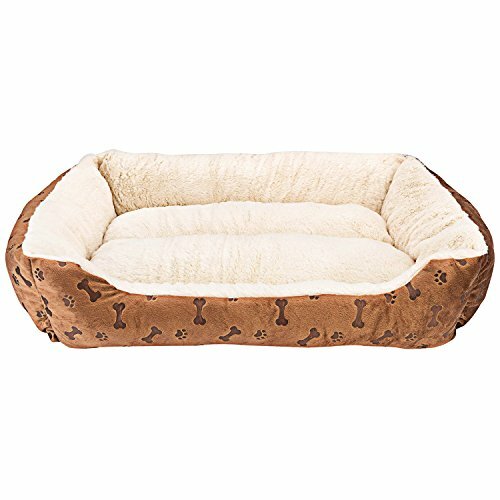 Your dog will get a solid night's sleep in this luxurious bed. 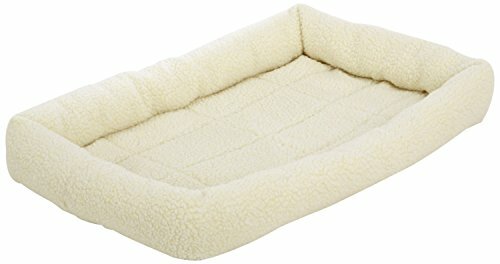 The cushioned plush poly-fill bolster provides your dog exceptional comfort, even for dogs with joint pain or arthritis.,Water-resistant liner and human-grade mattress foam, this orthopedic bed has been put to the test proven to be durable and long lasting.,Bed Size: 36in x 28 in x 9 inch. 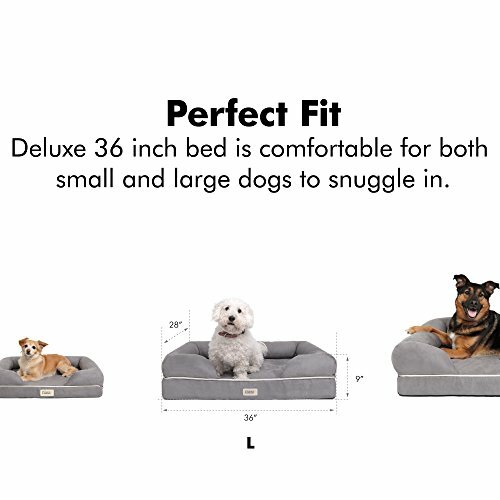 Huge clearance is perfect for a couple smaller pets who like it cozy or 1 medium dog or 1 large dog breed up to 75lbs. 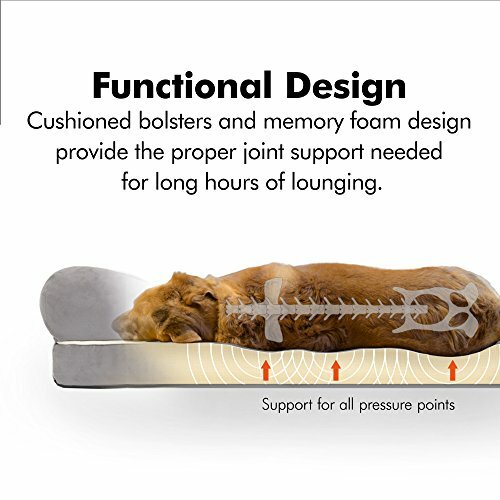 Great head, hip and bone support..,100% SATISFACTION GUARANTEED - Your Purchase Is Covered By A Limited 1-Year Warranty. 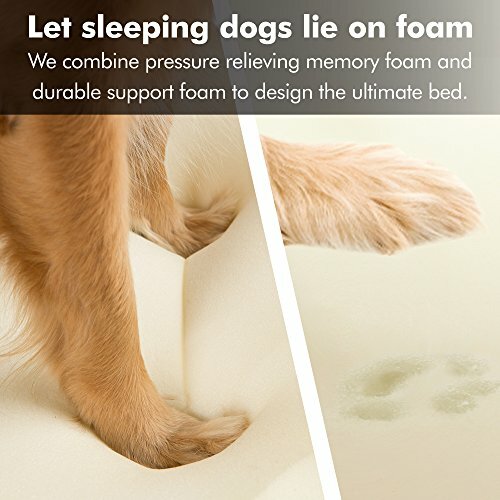 We stand by our promise on quality.,Easy to Clean: Soft, removable cover is durable, and machine-washable. 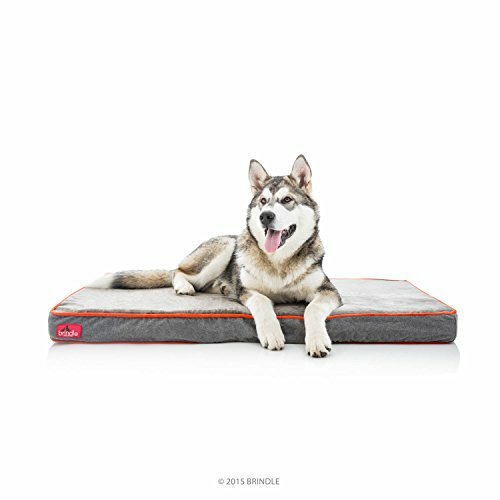 You can remove the cover anytime with the YKK pure metal zippers and keep your pet's bed clean. 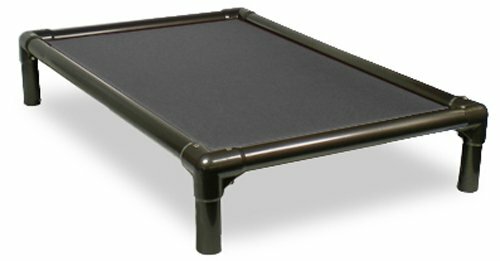 Non-skid, non-slip bottom. 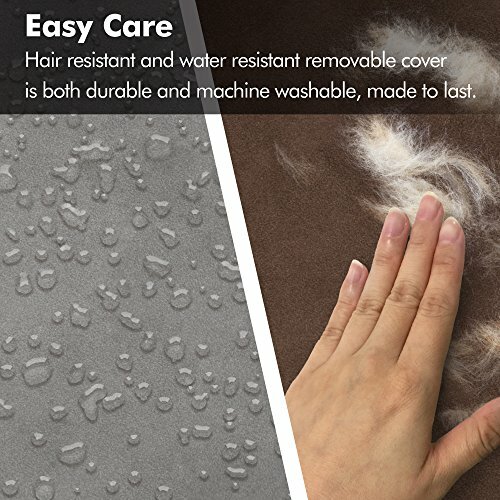 Fur and Hair resistant & anti-tear cover.